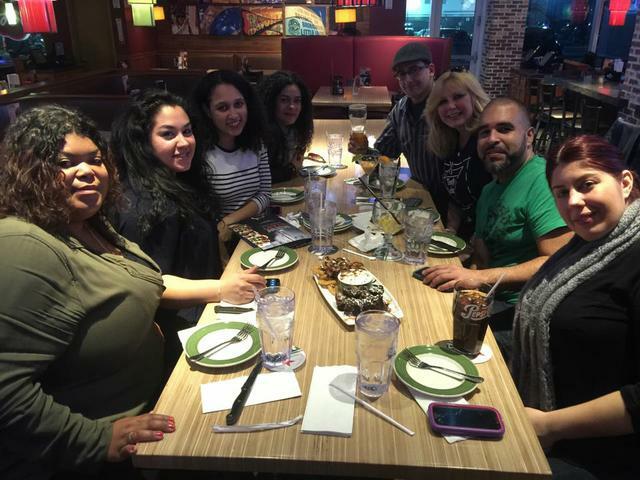 Last week I met up with the Bronx Bloggers for a happy hour at Applebee’s newest Bronx location in the Hutchinson Metro Center. 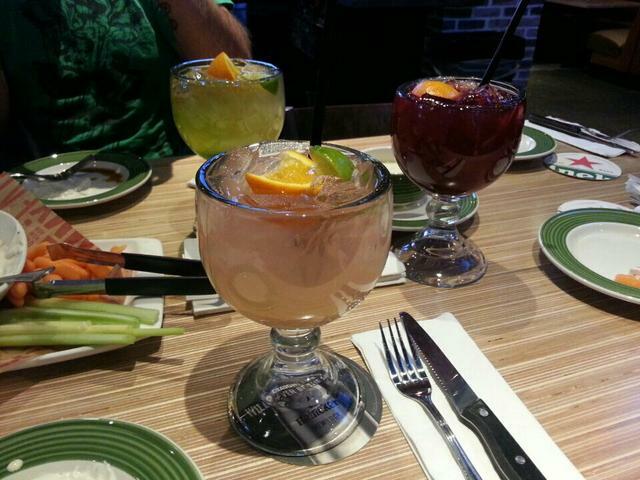 If you’re like me, you prefer to hit up a local spot instead of a chain restaurant, but you may want to give this new Applebee’s a shot after you read this post. Upon entering, my first thought was “wow, this place is huge!” The bar is located centrally in the middle of the restaurant, which has an open layout, making the space feel very airy and modern. Photographs taken by the legendary Joe Conzo line the walls, adding a customized Bronx flare to the locale. The staff was really accommodating and friendly and our waitress, Ronette was super knowledgable and helpful in assisting us in picking out drinks (so many options!) I eventually chose the red berry sangria, which came in this giant goblet, so I was definitely pleased. It was fruity and sweet, without being overly so. A veggie platter of raw carrots, celery, and blue cheese dip was first up. Let me make it very clear that I typically do not like any of those foods, so I avoided them. But, as I sipped away at my sangria, I was like ‘Eh, what the hell?” so I grabbed a carrot and dunked it in the dip. WHAT KIND OF WIZARDRY ARE YOU UP TO, APPLEBEE’S? I actually, for the first time in my life, liked raw carrots AND bleu cheese dip. I had several more after that. Now, I was definitely curious as to what they’d serve next. We were served family style a host of different entrees including; kobe style meatballs, sriracha shrimp, pot stickers, boneless wings, and sweet chile brisket sliders. The entire time I was stuffing my face I really couldn’t believe this food was from Applebee’s. I have always associated the chain with burgers,mozzarella sticks, and of course the 2 for $20 deal. This shift to a slightly more upscale vibe and menu is a welcome change. We were already stuffed, but we had to make room for dessert! Ughhhhhhhhhhh. Guys, they had churros. Churros with s’mores chocolate sauce. WHAAAAAAAT?! They also had cheesecake bites, brownies, and apple turnovers. The button on my pants popped open and I did not care.